Posted by Jeff Hammett in beer reviews, beer stores, bottlecraft, breweries, great divide brewing co. I haven’t had many oak aged IPA’s so it was my lack of experience with the style combined with my love for Great Divide that caused me to pick up Rumble Oak Aged India Pale Ale (typically sold in 6 packs, I picked up this single 12oz bottle at Bottlecraft for $1.95). 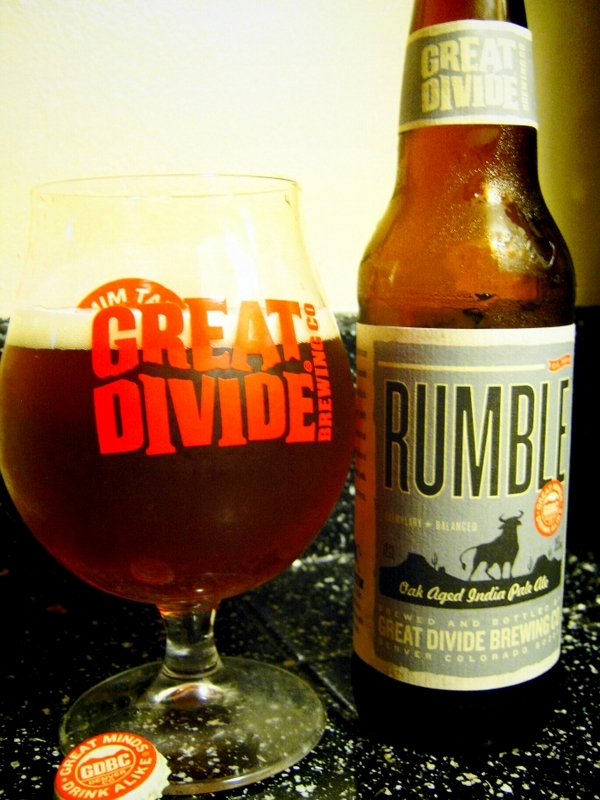 According to Great Divide’s website, Rumble is an American IPA brewed with Pacific Northwest hops and aged on French and American oak (but there’s no mention of how long it is aged). It’s listed as 7.1% ABV and the IBUs aren’t listed. Rumble is darker in color and sweeter in both smell and taste than many American IPAs. That’s not to say that it isn’t a solid beer however. Pretty much everything one would expect from an oak aged American IPA makes an appearance. Earthy oak, hints of vanilla and sweet caramel are front and center which all give way to a more bitter finish full of piney hops. The carbonation was lower than I expected, but certainly wasn’t flat and didn’t get in the way of my enjoyment of the beer. I was afraid this beer could be too malty and sweet but even as it warmed up it didn’t become overly sweet and was still pleasant to drink. I don’t have much to compare it to, but this is a great example of what I would expect from and oak aged American IPA. 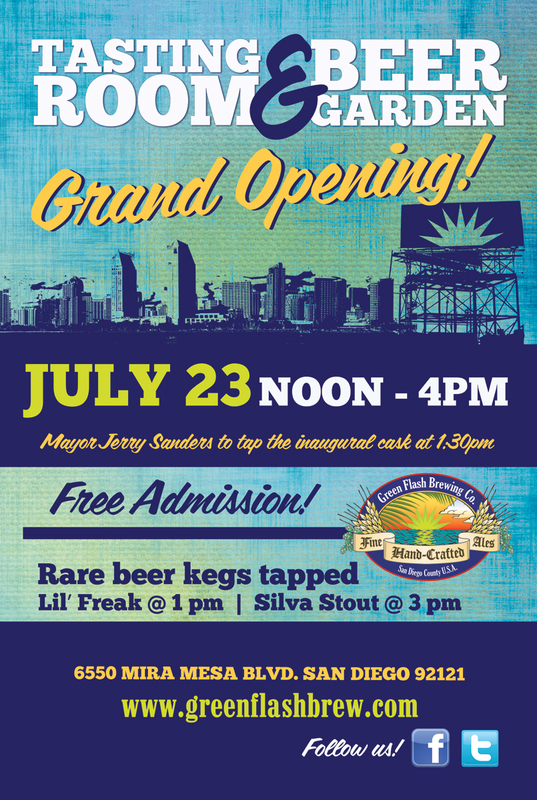 The folks behind this weekend’s America’s Finest Beer Festival, which was slated to begin tomorrow at 3pm have asked me to help get the word out that the event has been canceled. The text below was posted to their website this afternoon. According to West Coaster tickets purchased through Ticketweb will be refunded automatically. While I’ve only have a few examples of it, I’m a big fan of sage in beer. I had been meaning to try something from Stillwater Artisanal Ales and the mention of sage in Cellar Door jumped out at me. I drank this on a hot day and it was perfectly light and refreshing. It felt a little thin, but that probably helped make it more refreshing. The first tastes are pretty sweet (possibly due to the wheat) and citrusy, Cellar Door uses Citra hops which are not one of my favorite hop varieties. As the beer warms the citrus fades into the background and the sage steps up a bit to balance things out. 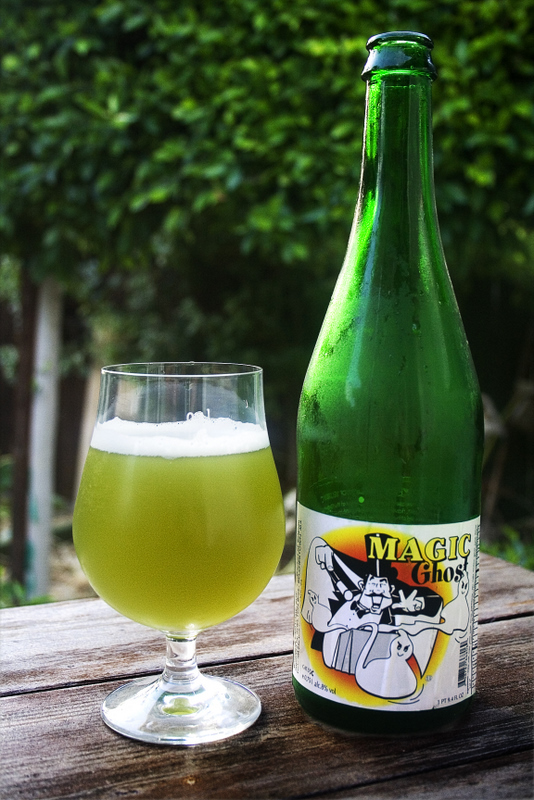 There isn’t a strong sage presence, just a hint which mellows out the citrus perfectly well. There’s some earthy spiciness, which could be due to the Saison yeast or the sage (or both) in there as well. All in all Cellar Door is a solid beer, and absolutely perfect for a hot summer day. I picked this bottle up at Olive Tree Market in Ocean Beach for $11.49 for a 750ml bottle. I’ve also seen beers from Stillwater at Best Damn Beer Shop downtown. Jason Fields & Kevin Sheppard / Tröegs / Stone Cherry Chocolate Stout is the collaboration beer that resulted from Stone’s AHA (American Homebrewers Association) Rally this past March. Homebrewers Jason Fields and Kevin Sheppard teamed up with John Trogner, Head Brewer of Tröegs Brewing Co. in Harrisburg, PA and Stone’s Brewmaster Mitch Steele to brew a production run of their stout after taking top honors out of the 40 entries judged that day. According to a new release from Stone, the beer includes a blend of dark-roasted specialty malts, Callebaut chocolate liquor, vanilla beans and 9000 pounds of dark cherries. Sounds intense. So how is it? Intensely good. It’s black, letting no light through even when I hold the glass up to the light. I can’t quite but my finger on the smell, it’s roasty, with cherries and chocolate coming though but there’s a lot going on with it. Due to the cherries the taste starts out surprisingly sweet for a stout (but not overly sweet), with a great cherry flavor. The finish is more bitter a mix of cherries and chocolate leading to one of the most fantastic after tastes I’ve ever experienced from a beer. As soon as I swallow the taste of delicious dark chocolate fills my mouth, a taste much different than anything I tasted while the beer was still in my mouth. I didn’t think to take the temperature of the beer until I was halfway through with it, but this is one that shouldn’t be served too cold. I let it sit out for about 10-15 minutes before tasting it and the smells developed more as it warmed. The notes above are while drinking it between 59 and 62 degrees Fahrenheit which seemed to be a good temperature. As it got warmer, above 65 degrees a more unpleasant bitterness appeared, still not bad, but I’d recommend trying to drink it right around 60 degrees. 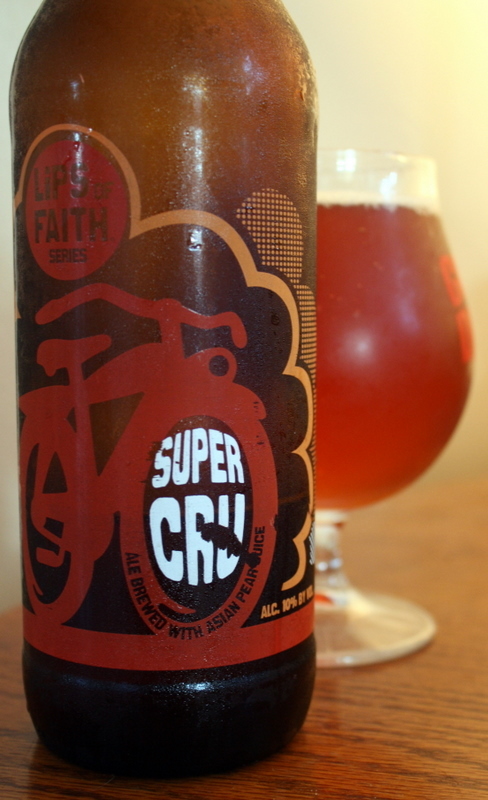 This one is a winner and a beer I highly suggest you search out when it is released July 25th. Stone produced 2448 cases and it will be distributed in 23 states. Like most (all?) Stone collaborations beers to date this one comes in single 12-oz bottles with a suggested retail price between $2.49 and $3.49. Jason Fields & Kevin Sheppard / Tröegs / Stone Cherry Chocolate Stout is 7.3% ABV and 37 IBUs. Note: This bottle was provided to me free charge by Stone Brewing Co. for sampling purposes. Update: You can see a video Stone made about the beer below. Jack D’Or might be the flagship beer of Pretty Things Beer and Ale Project, I would pick their other Saison, Field Mouse’s Farewell if I were forced to choose between the two (that’s not to say that I don’t like Jack D’Or, I just prefer Field Mouse’s Farewell). They’re both roughly in the “Saison” style, but very different beers. Field Mouse’s Farewell is described as a “rustic golden ale brewed with barley, oats, wheat and rye” on the label, which still leaves quite a bit to be discovered about the beer. Their website does a bit more explaining, stating that it’s “Mostly inspired by Nord Pas de Calais “biere de garde” and Wallonian saison styles”. 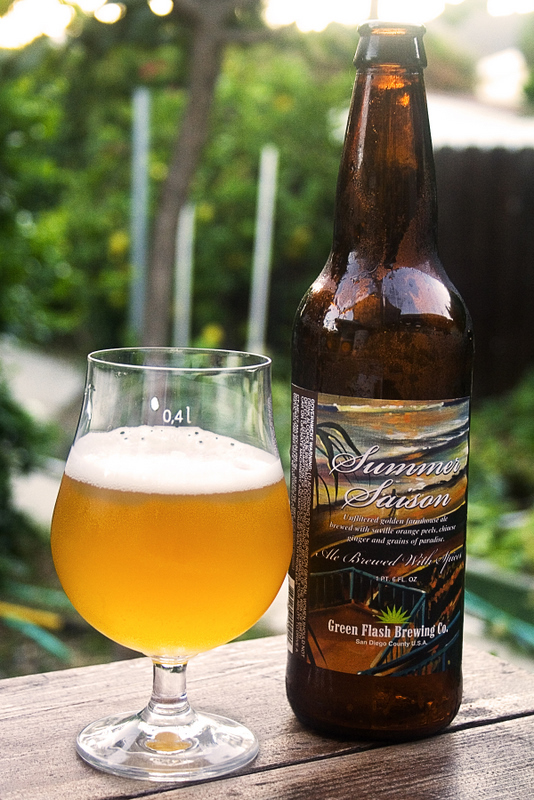 As far as I know it just showed up in San Diego for the first time recently (along with a few others from Pretty Things) but it’s listed as a late spring seasonal on their website, so I don’t expect it to be around much longer. 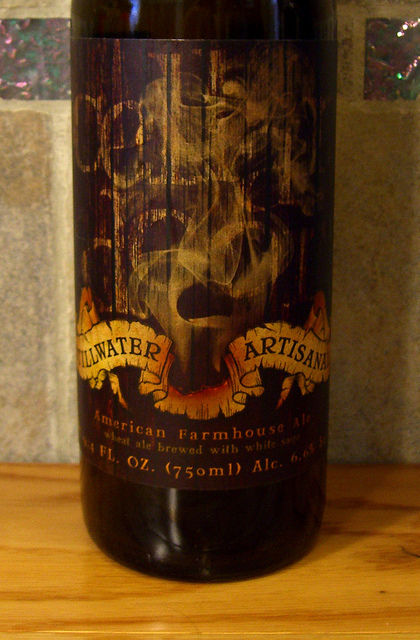 I found it at Bottlecraft, and I’ve seen it at Olive Tree Market and Best Damn Beer Shop as well. 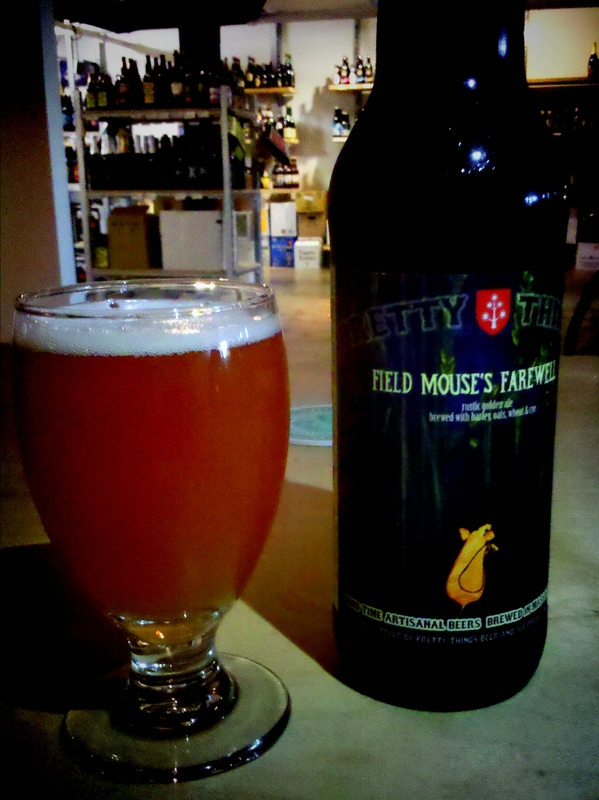 Field Mouse’s Farewell is a bit on the sweet side upon the first sip, but finishes dry like a Saison should. A little bit of bitterness sneaks in towards the end of the swallow, but I don’t think anyone would describe this beer as bitter. The oats add a nice silky feel to the beer which plays nicely off the slight sweetness. Like most Saison’s this is a pretty yeast driven beer with a distinct spiciness. There was quite a bit of sediment in the bottle which I was careful to avoid pouring into the glass at first. After drinking most of the beer in the glass pictured to the left I poured more in, letting some of the yeast from the bottle get into the glass. As expected it got much more cloudy and the taste changed quite a bit. The yeast flavors came out much more with an earthy mustiness as well as strong fruity banana flavors. I wouldn’t describe either way (less yeast sediment in the glass or more) as being better than the other, just different. I highly suggest trying it both ways to see which you prefer.